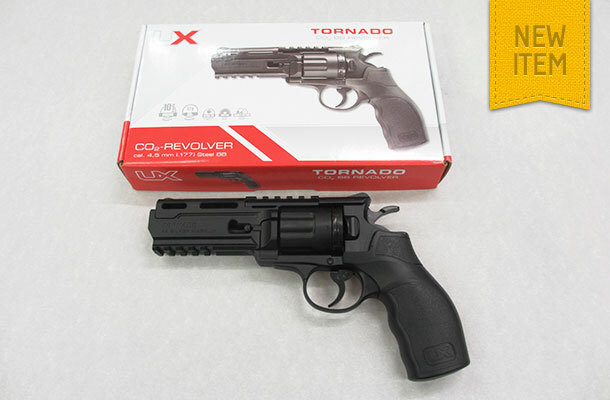 The Umarex “Tornado” is a lightweight C02 10 shot 4.5mm BB firing revolver. The pistol features both single and double action and it also has a non automatic safety. The weight is 687 grms.